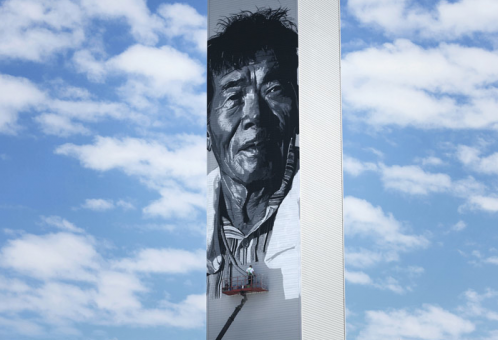 German artist Hendrik Beikirch just recently finished a new mural that blasts his own standards as well as Asian normalities: it is over 70 meters (230 ft.) high and therewith marks Asia’s tallest mural ever. 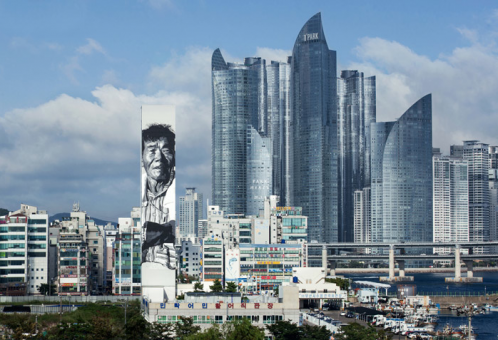 Contrary to its modern, rising surrounding of South Korea‘s second largest city, Busan, the mural depicts an elderly fisherman – one of the very few still pursuing this dwindling profession. Responsible for this project is Public Delivery, an organization who has made waves across Asia and Europe through the promotion of contemporary art. The artwork will be on display for an indefinite period of time.